1. 3BStreet - A fun and quirky site with great visuals where you get your own animated storefront. Artist participation is juried, with a monthly fee as low at $9.95 per month + 3% of all transactions. 3. AbsoluteArts – Claiming to be “the most trafficked contemporary arts site” it offers levels from free to premier. Artist bio/statement and portfolio displayed with shopping cart. 4. AbstractArtistGallery - Not an e-commerce site, this is a database of living abstract artists that presents work and includes a link to the artists website to drive traffic there. Juried; they request a donation from artists who are included. 5. AffordableBritishArt (UK Site) – Artists sell their work with no middleman, commission free, but there is a charge to have an account (4 tiered levels). You must have a PayPal account to receive payment for your work. 6. Aftcra - This site calls themselves “the place to buy and sell one-of-a-kind goods proudly crafted by American hands.” Set up a storefront here for free, and product prices must be $10 or higher. Listings stay for four months. They take 7% fee on sales. 7. Amazon – A while back, handmade jewelry was the category for artists to list on this huge e-commerce site. Now selling fine art, galleries and dealers can use Amazon as well. 8. American Handmade Crafts - Free trial (with $35 setup). Monthly fees starting at $12, and each artist can list hundreds of items for sale. They provide a shopping cart. 9. Art.com – This highly ranked e-commerce site has a division called Artist Rising, where emerging artists can upload images. They provide a print-on-demand service to sell your work. Two levels of membership – free and paid. 10. ARTtwo50 - They claim to be “a marketplace for original pieces that buyers can view hanging on their wall before they buy for an affordable price.” All art sold on this site is $250, artists get 80%. They have an innovative iPad app that shows art in situ. 11. Artaissance - This juried site is looking for sophisticated art that is suitable for art publishing, and is run by well-known frame manufacturer Larson-Juhl. If your work fits the bill, you can go through a submission process to become one of their featured artists. 12. ArtBomb - (Canadian site) Dubbed as “a daily online art auction featuring carefully curated works of art from artists across Canada.” Selected artists must provide them with 50 email addresses of friends and supporters. Reserve price is set. Art Bomb takes 50% of selling price. 13. ArtBreak – Describing themselves as “a global community of artists sharing and selling their work on the web,” this site is a commission-free way to upload images and sell with a shopping cart. Curiously, their blog and social media sites are inactive. ArtDip – (UK Site) Now open to painters, printmakers and artists in 2D media, ArtDip offers individual websites; they offer a ten-day free trial. 14. ArtDiscover – Art spaces and artists can promote themselves creating, editing and uploading their information for free on ArtDiscover. Galleries can also promote exhibitions. 15. Art-Exchange – B2B site where artists can get connected to interior designers, architects and others in the trade. Work is sold wholesale here; they take 10% commission. 16. ArtFido – (Australian Site) Artists and galleries can create listings of available work on this international site, where shoppers can buy or bid on art. They take 8.5% of sales made. 17. ArtFire – Huge marketplace of crafts, art, supplies, vintage and more. Customize your own shop on this site. $12.95 monthly fee. 18. Artflung – Non-profit is an online curated art gallery, with no fees involved. Artist submissions can be made on the site, and is juried. 19. ArtFortune – Create your own online art gallery here. Site visitors can see the images that you have uploaded, and click through to your website, where you make the sale. They charge a monthly fee, and have several different plans. There is also a forum and community on this site. 20. Artful Home – Gorgeous online catalog for handmade home décor, wall art, apparel and accessories. They have a paper catalog as well as online gallery. This is a juried site, with a jury fee and $300 membership fee if accepted. 21. Artfuly – (Australian site) A juried site, where you can submit your work for review. If you are a match, they market your work for free, but charge admin, delivery and insurance fees when work is sold. For Australian artists only at this time. 22. ArtfullyReimagined – “Repurposed” is the key word on this site, which specializes in selling work that includes reused, repurposed or recycled materials, and take a 10% commission. This site is juried. They also offer mini-grants, prospectus is on their site. 23. ArtGallery – (UK site) They claim to be a “leading destination for customers wishing to buy art online.” Two membership levels (one is free), with shopping cart function. They even text you when your art sells, which is pretty cool. 24. Art-GalleryWordwide – Offers three monthly account options to artists plus setup fee. Each artist gets a home page to upload images. Shopping cart provided. 25. ArtHog – Online gallery sells prints of your work. They market your art, you keep 60% on sales. They will also work with you on licensing. Submissions are juried. Free membership, submission and listing. 26. Articents - Handmade and vintage items are sold here. This site is very inexpensive, with no listing fees or commissions, and only a $5.00 monthly fee. Make your own storefront, where you can even include videos. 27. Artid – Online exhibition space where you can sell your art. Three membership levels, including one which is free. Each artist gets their own gallery and blog. Artid offers an ebay selling option for premium members. 28. Artinvesta (Australian site) This site promotes itself as selling original art on a global scale. They offer artists unlimited space to upload a portfolio, and take 10% plus Paypal fees from your sales. You can register as a seller for free. 29. Artist-Listing - A “free showcase for visual artists,” this site has a free plan, or you can upgrade your page for $25 or $149 annual packages (custom built templates). This site does not include a shopping cart, but allows a portfolio and bio where you can list your own website to make sales. 30. ArtistsInfo – A “global showcase” that drives visitors from their website to yours. Juried from information and images submitted on the site, an artist listing is £ 49.99. They claim to be the number one gallery on You Tube. 31. ArtistSites - Called “A Virtual Community of Artist Portfolios” this site is totally free to use. Artists can upload up to 25 portfolio images, and create a bio. Site visitors can comment or contact the artist. You can include a link to your own website as well. 32. ArtistsToWatch – This greeting card company accepts submissions from artists who would like to sell their work in this format. They accept new artists quarterly. To apply, email them with your info and images. 33. Artmajeur – (European site) Claims to be the world’s largest fine art gallery. Upload your art to this site, and handle any sales directly with the buyers. Monthly fees apply, no commission is taken. 34. ArtMuse – A curated collection of art in all mediums. Submit your work for consideration free. Original art can be listed at no charge; images for prints have a $15.00 listing fee. Art is sold at pre-set price points; this is a Print-on-Demand site. 35. ArtofWhere – Print-on-Demand site featuring beanies, pillows, pencil cases and phone covers. 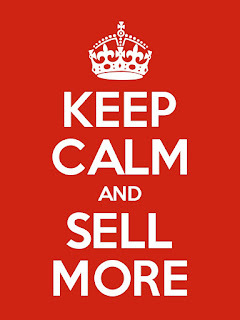 Open a store here and sell your work with offer a 3-tiered commission system. 36. Artolo – (UK site) Now in Beta, this online gallery features artist/buyer profiles, portfolios, the ability to list art in real world locations … plus coming soon, facilities to sell your work both offline and online. They take 10% commission. Sign up now open. 37. Artomat – With this unique concept, old cigarette vending machines are converted into Art Vending Machines which dispense small works of 2D and 3D art. They are searching for new artists – link leads to the guidelines. 38. Artorca – Easy instructions here say that the artist creates a profile, and uploads their work. When buyers browse and choose to buy, artists receive payment into their Paypal account and ship the work. No membership or listing fees. They take 15% commission. 39. ArtPal - Popular free gallery to sell art and buy art. Sell your paintings, photography, sculptures, jewelry, crafts, original art, prints, and much more. They also have a free Print-on-Demand service. Free membership, easy-to-use website, and many features to sell your art. 40. ArtPistol - (UK Site) This website advertises that they sell “original art and limited edition prints from both budding and recognized UK artists.” They sell online as well as in pop up events, and sell to corporate clients. Artists list prices on the site, but shoppers are also allowed to make offers. Features a wedding registry. No upfront fees, but they take 25% commission. 41. Artplatform (UK Site) – This site sells art while supporting charities. Depending on your chosen level of gifting, you may or may not receive payment. Fine art only. They encourage you to list your website and galleries than show your work. 42. ArtPreferred - Create your own art store here for $9.95 per month, with no commissions taken. Audience is global. They also have a feature where you can promote your art events as well. 43. Artquid – Calling itself “The Art World Marketplace,” this international website sells fine art, antiques and fine craft in different mediums. Works on a set annual fee. 44. Artsicle - Have you ever considered renting your art? This site specializes in residential and corporate art rentals, and renting art for staging apartments and homes for sale. 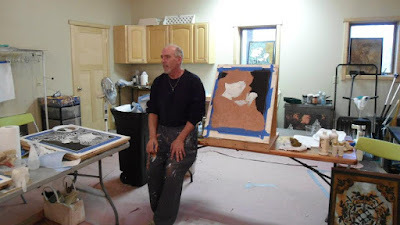 If you are a New York City artist, find out more by contacting Dan(at)Artsicle.com who runs this website. 46. ArtSlant – This popular art website allows artists to sell their work using different arrangements, from listing your work yourself, to having ArtSlant get involved with making the sale. Marketing tools offered. Fees vary. 47. ArtSpan – Artists in any medium can build their own websites on ArtSpan, which boasts 4,000 member sites. Shopping carts and Print-on-Demand also available. Fees range from $14-$20 per month. 48. Art Specifier – Specializing in selling to architects, designers, art consultants and galleries, art specifier is a juried site. Annual membership for artists is $100, with no other fees or commissions involved. 49. Artsy Home – Offering “Original Décor for Home Work and Life,” This website targets interior designers, commercial decorators, upscale homeowners & others with print catalogs as well as online sales. Pay either 25% commission or $14.95 monthly fee. 50. ArtTraffic- (UK Site) Here’s where they claim you can “Buy the work of young or established artists & discover future talent.” Mediums include everything from sculpture to jewelry to prints. This site offers membership packages, and takes a commission. 51. ArtWanted – This site allows artists to upload images and price their own work. The artist can then fulfill orders for original art or reproductions on their own, or use ArtWanted’s Print-on-Demand services, where artwork can be printed on a selection of products. They take 15% commission. 52. ArtWeb – (UK site) – Has plans ranging from free to pro, no commission is taken on sales. Artists can upload images on to their own profile pages. Shopping cart is provided. 53. ArtworkHeroes – (Danish site) This site runs monthly competitions, with winners work being sold as limited editions. Artists receive 15% of the price of prints which are sold by this POD provider. 54. ArtworkxOfMann – (UK Site) Sponsored by an international art agency, this site sells original art and reproductions. They have a brick and mortar gallery and hold events. Applications are juried; charges annual fee ranging from £49 - £250. 55. ArtTwo50 – This site allows artists to sell “hangable” art originals, for the price of $250 – they take 20% commission on this. They have an iPad app that virtually presents your work on the customer’s wall. No exclusivity contract. 56. AxisWeb – (UK site) Create your own web shop here, and join museums, galleries and other artists selling their work. Even has a bridal registry. Commission based. 57. b-uncut – Billing themselves as “The Art Exchange,” this site serves creative directors, curators, art consultants and others matching their projects with artists who place bids. 20% commission rate when sales are made. 58. Bakso – (UK Site) This site specializes in t-shirts, and encourages independent designers to join. Upload your designs to this POD vendor, and you will receive 15% of the price of the shirt. 59. Behance – This popular online platform for creatives allows you to upload your art to a gallery with a personalized URL. “Work for Sale” is a category where artists can use shopping cart function to sell. 60. Big Cartel – “Bringing the Art to the Cart” is the mission here, where over 250,000 online stores have been opened by creatives. Pricing runs from free to about $30 per month with no long-term commitment. Brand and customize your own online shop. 61. BlkDot – This site provides e-commerce for Tumblr, the world’s biggest blogging platform. Artists can create blog posts featuring their work and sell right from the post with BlkDot’s shopping cart. No listing or monthly fees. They take 3% of each transaction. 62. Bonanza – This site sells everything, not just art – and claims to have 4 million items for sale. You can import items from Etsy to Bonanza free of charge. Listing is free – a percentage is taken from the cost of items that sell. 63. Boticca – Jewelry and fashion accessories marketplace for aspiring designers. This site is juried. Upon approval, set up your shop and upload images. No membership fee – they take 30% commission on sales. 64. Brika – this e-commerce site focuses on House and Home, Jewelry, Accessories, Paper Goods and Baby Items. You must apply to become a “maker” on the site. Email them for terms. 65. Bucketfeet - Would your artwork look just perfect on a pair of shoes? This site offers cool sneakers with a variety of designs. Jury by sending an email to info(at)Bucketfeet.com with your portfolio. 66. BuyAndLeaseArt – This service leases art for office and residential environments in 12-24 month terms. This gives a monthly fee to the artist. Art is also sold on the site, with the artist receive 70% of the price. Juried submission. No fee to list. 67. Café Press – Print-on-Demand site has two options – start your own online store, or upload designs only without the hassle of managing a shopfront. They set base prices for each item, which you mark up for your “royalty”. Fees are 10% of royalties. 68. Cargoh – Calling themselves a “social marketplace for independent art, design + culture,” Cargoh is a juried and curated site. Upon acceptance, there is an 8% commission on sales, with no other fees. 69. Centerpoint Art Project : When you store your art inventory data with Centerpoint, they include several creative e-commerce features designed to help Fine Artists sell art. You can personalize your sales approach for originals and limited editions and it will instantly sync your inventory with your website. 70. ClickForArt – (UK Site) This site sells work from artists in the UK as limited edition art, art prints, canvas prints and limited edition homewares. They sell retail and also wholesale to retailers. You may submit to them by sending an email to artist [@] clickforart.com with samples or a link to your website. 71. CollegeArtOnline – Sellers must be attending art school, or be a recent grad or professor (with an .edu email address unless otherwise approved) to list their work on this site. 25% commission is taken when your art sells – no other fees apply. 72. ColourInYourLife – (Australian Site) Sells original, prints and limited edition art. Artists get their own shop. Fill in online submission form, and they will respond with best pricing for your work and commission details. 73. Consignd – An open marketplace which is curated. You pitch your work to a curator, and if accepted, it is included in the collection. They take 15% commission. 74. Constrvct – Is your art perfect to become wearable? Now on Beta, Constvct is a crowd-sourced fashion label. Upload your design, and it is custom printed onto fabric, and made in dresses, shirts, skirts. Sign up to get into their Artist Program, where your designs can be made available to consumers and you earn royalties. 75. ContemporaryArtGalleryOnline – Juried site, which helps artists market and sell their work, and has a shopping cart. 2D work only. Markets to trade professionals; also features competitions. 76. Coriandr – (UK Site) They state that “anything handmade and creative can be sold on Coriandr.” No membership fee. The cost to list per item is 20p plus 2.5% commission on sales. Easy to set up your own shop page, and listings never expire. 77. CraftCafe – This site exists to sell handmade craft and craft supplies. Open up a shop for as little as $4.95 per month. No sales or listing fees. 78. CraftIsArt – Focusing on handcrafted and vintage goods and supplies, this site offers pay-as-you-go and premium packages to sell your work online. 79. CraftGawker – Curated craft photo gallery linking through to craft blogger sites from around the world. Submissions are moderated. Lure visitors to your own site where you can make the sale. 80. CraftJuice – Though not strictly for sellers, this curatorial site will link through images to any site. Submit a photo of your craft from any other site and promote through CraftJuice, then sell through your other shopping cart. Votes get your work on the front page of this site. 81. Crafterstown – Small website featuring different craft items. Monthly fee from free to $9.99, and no listing fees. Free plan has a small transaction fee. 82. Craftori – Art, craft, vintage and more can be submitted to this curated site. Links through to your sales venue, where you sell direct to the customer. Pay to feature your work on their front page or in Supplies category or Gift Guide. 83. CraftShowcase - Charges no fees to sellers. The management of this site adds 15% to your prices in order to make money. Photos are uploaded, and must be approved before going live. Artists can sell retail or wholesale here, and even post videos. 84. CraftStar – Run by craftspeople, this site has a $5.00 monthly membership fee, and no listing fees. Very helpful forum and customer service here. 85. CraftyMall - All types of handcrafted items are sold on this site. No cost to upload images or list items; a 3% transaction fee is retained by the site owner. 86. Craigslist – Believe it or not, you can sell art on Craigslist, which contains about everything else in the world. Artists can advertise free to solicit commissions, or sell their work. Beware of scam buyers on this site. 87. CreativeMarket – This site is for graphic artists to sell graphics, logos, themes, etc. Artists set their own prices and keep 70% of each sale. They do not require an exclusive on any designs. 88. CreativeStores – (UK site) Based in England but doing business worldwide, this site proclaims, “You may sell handmade goods, crafts, creations, gifts (that are inline with other items on the website), craft supplies, digital downloads e.g. pdf files for patterns.” Monthly fee with three package options. 89. Crevado - A website to upload your art portfolio and your bio, Crevado does not offer a shopping cart, but enhances your web presence. Fees range from free to $9.00 per month. 90. CustomMade – This website seeks artists and craftspeople to match with buyers who would like custom work created for them. Consumers post requests, and bids are taken from makers. Once a custom piece of work is made and shipped, CustomMade takes a 10% commission. 91. DailyPainters – Large gallery of art is searchable, and links buyers through to your own website where you can make the sale. This site is juried, and they are seeking prolific artists with a unique style who are also bloggers. 92. DailyPaintWorks – This popular site has a large variety of new 2D art offered every day. They help you sell originals only. Join them for $12.95 per month, which entitles you to upload any number of images you like. 93. DargerHQ – Their mission is “to provide an influential platform for presenting important, emerging artists’ work to new collectors” and a limited number of artists are featured on this site, with work for sale and shopping cart. You may submit your work to be juried (with a $10 fee) and if accepted, any work sold is subject to 30% commission. 94. D’Art Fine Art – Large online gallery of work, with memberships available ranging from approximately $15-$30 per month. Offers marketing tools. Connects buyers with artists, and allows bids; also has shopping cart function. 95. DaWanda – This site promotes that it sells “Products with Love” and specializes in unique or limited edition, handmade, customizable and tailor-made work from small creative businesses. Create your own shop – no fees, 5% commission. 96. DegreeArt - (UK Site) Students and recent graduates can submit their work for consideration to this site, which has an online venue as well as a London gallery where they may put your work in a solo or group show, and promote you to the press. They require an initial fee of £75. 97. DENYDesign – This home furnishings company creates Print-on-Demand pillows, bed linens, shower curtains, wall art and more. Does your work need to be in this collection? Artists are juried in. 98. Deviant Art – With 80 million pieces of art onsite, this behemoth is the largest social network for artists. It’s a platform that allows emerging and established artists to exhibit, promote, and share their works, including selling prints. Prints are base price; set your selling price to include a royalty for your payment. 99. Docent – Selling “affordable art to the carefree collector,” this site features original works and limited editions archival prints.They have monthly exhibitions and flash sales on the site as well. Juried. Complete form on site for more info. 100. Dossiae – This site provides a place for artists, designers, etc. to list their services in a directory, which is searchable. Now in Beta. 101. DPCPrints – Register for the DPChallenge, and you will have an online profile where you can upload your scanned photographs, scanned paintings and drawings, and digital artwork. This is a Print-on-Demand site. Artists pay $25.00 per year membership plus the base price of all prints. Set your own prices, and split profits with them. 102. EasyArt – (UK Site) This POD vendor sells reproductions of artists’ work from submitted digital files (one-time fee for uploading), and pays 10% commission to the artist. They set prices based on substrate. Not currently accepting new artists (as of 4/13) but they advertise upcoming “Easy Art Academy”. 103. Ebay – The big kahuna of marketplaces, Ebay is a place to sell art as well as anything else on the planet. Although it may not be the first choice of most artists, others may find a niche where they can do well here. Listing and transaction fees apply. 104. EBSQArt – This site for “self-representing artists” allows you to create an online presence that links through to other websites where you have a shopping cart. EBSQ focuses on its built-in social networking tools to spread the word about your work. Membership based, $8.95 per month. 105. Envelop – This is a European site for designers to upload designs to be printed on textiles and sold as pillows, totes, aprons, etc. Submissions are juried. Artists receive a portion of the sale price. 106. Epilogue – a volunteer-driven Sci-Fi and fantasy art site, Epilogue allows artists to create galleries, and link to their own websites – so it works as a marketing tool to reach out to buyers who like this genre. This is a juried site, with apparently no charge to artists. 107. Etsy – This is the well-known 800 lb. gorilla, where artists and craftspeople can open their own online shop. Vintage goods and supplies also allowed. Etsy offers support communities and lots of help selling. Listing and transaction fees apply. 108. EtsyWholesale – Now in Beta launch, they are taking applications for artists who are experienced in wholesale. This new platform uses the power of Etsy to reach retailers who want to purchase handmade goods for their stores. 109. Exsibit – (UK Site) Built “for artists by artists” Exsibit allows you to upload your images and publishes your work to social media sites. They also provide a shopping cart. Plans start at €15 per month. 110. EyesOnWalls – Canadian art company selling original art, prints and textiles. Very selective group of artists they work with exclusively. Artists must have large enough body of work, have a following and fit their “look.” Submit images or a link to your site to them through email. 111. Ezebee – A platform for designers, handmade manufacturers and micro-companies all over the world, this site is 100% free. Create your own showroom and start selling. Very interactive with social media. 112. Fab – Fab sells many things besides art (they call it a “compelling marketplace for everyday design”), but they are willing to look at a submission of your work should you want to be considered. Apply right here. 113. Facebook – yes, one of your favorite social networks can also be your online store. Use Wix or Heyo to create a really cool customized Facebook page, with a shopping cart too. 114. FarmMade – Filling a niche, FarmMade claims that farmers (and they have a broad definition) can set up shop, but you will see quilts, paintings, handmade soaps and other items on this site. Seller accounts are $5.00 per month plus 5% commission. A Paypal account is needed. 115. FineArtStudioOnline – A favorite place for artists to create their own professional art website (with your own URL), get marketing help, integrate a blog and social media. Monthly fee $8-$40. 116. FineArtAmerica – Build an art profile page, then promote and sell your work on paper or stretched canvas from this Print on Demand provider. Provides marketing help and an embedded shopping cart on your own website. 117. FolioTwist – Their platform provides artists a website and blog, marketing help and more. Monthly fees $25-$40 for the package. 118. Folksy – (UK site) Featuring modern British craft, this site has online stores for artists to list and sell their work. Pay-as-you-go and monthly plans available. 119. FotoMoto – A Print-on-demand e-commerce widget that integrates seamlessly into your existing website. They take care of printing, packing, and shipping orders to your customers. Pay per transaction and monthly fee programs. 120. FoundMyself – Free for artists to upload images; no commission taken. Sales are handled between the buyer and seller only, not the site. “Honor system” asks artists to contribute what they feel is fair when sales are made. 121. FromtheWilde – (UK site) Featuring art and handmade craft from Europe, Australia, Canada and the US, this site has a good search function and promotes artists. If interested in submitting your work, click on “Contact” and send an enquiry. 122. FrontPorchArt – This site brands itself as a “laid-back art market” for Southern art. Juried; you list at least five pieces for sale, with no listing fees. They take 40% of the sale. 123. Gallerish – Free to artists, this site allows you to upload images, bio, etc. Visitors are directed to artists by email, or can use PayPal to purchase. 124. GalleryToday – Connects artists with buyers to sell original signed paintings internationally. They offer a guarantee that every painting will arrive in perfect condition. Juried. To apply, check their website for submission email and instructions. 125. Gelaskins – This company produces skins for all types of devices, from laptops to phones to e-readers, and also art prints and canvasses. They will accept email submissions from artists wishing to license their designs – see website for details. 126. GiftWrappedAndGorgeous (UK Site) – Online boutique for gifts, jewelry and artwork. This site is curated – application is available on their site. 127. GLCCraftMall – Specializing in handmade crafts. Open up your storefront here for fees ranging from free to $12.00 depending on the number of listings you have. No commissions are taken. 128. GoodJoe – A Print on Demand T-shirt company with a conscience, this vendor supports nonprofits and good causes. Set up your own shop, upload your designs, and you receive 10% commission on every t-shirt they sell. 129. Goodsmiths – Calling themselves “The Marketplace for Makers” this site has no setup or listing fees, and takes only 2% of each sale. 130. GotArtWork – Artists can sell originals or reproductions here. This is a Print-on-Demand site, with monthly plans ranging from free to several hundred dollars. 131. GreetingCardUniverse – Create a greeting card store on this site for free and upload your images. They are a Print on Demand vendor, and artists make 35 cents per card sold. 132. Gumroad – Originally created to sell digital products, Gumroad now allows sellers to list physical products. You provide a link to the item, and they receive payment. No store needed, this site does allow you to communicate directly with customers. 133. HandmadeArtists – A very active community as well as a venue to sell art or craft. No commissions are taken – $5.00 monthly subscription, they provide a shopping cart. 134. Handmadeology – This site is a place to get exposure for your art or craft, but does not actually have its own shopping cart. Uploading your images is free. Your item description has links to your website, social media, and other places to buy (such as your Etsy shop). Feature your work on Handmadeology’s front page for $5.00. 135. HouseOfSass – This new site is based on a “hotel” theme where each artist is given a room to present their work. They are currently offering six months free, and then have monthly plans from $7.95 – $15.95 depending on how many products are listed. No commissions. 136. Houzz – Is your work just right for interiors? Houzz has the largest residential design database in the world. Create your profile under “Artists and Artisans” in the Pro section here and upload images of your work. It’s free. 137. iCraft – (Canadian Site) Sells the handmade work of artists globally. $25 registration fee, and monthly fees of $5.00 to $15.00 depending on how many images your upload. 138. ImageKind – Print-on-Demand. Join free, customize your own storefront. Fees range from free to $95 per year. Set your own retail prices; they charge base price and pay you the rest. 139. IndieMade – Their pitch is that they help crafters, artists, photographes, DIYers, and artisans of all types easily produce creative websites. Monthly fees start as low as $4.95 (no long-term commitment) and you can even get a 30-day free trial. 140. Ingallery – This juried site solicits submissions from “established and up and coming artists.” They are Print-on-Demand, selling work as digital canvases, and have themed galleries on their site. No info given about charges or commissions. 141. InPRNT – This site sells giclees. Juried submission process of sending three of your best pieces for review. Inquire about costs. 142. Instaprints - a Fine Art America site, Instaprints allows you to sell your Instagram photos as prints on different substrates, greeting cards, etc. This is a Print-on-Demand site. Artists can join free or pay $30 for a premium plan. They take no commission on originals or prints (unless you want them to print them). Many more services – check their website for more. 143. JewelSpan – A sister site to ArtSpan, this vendor caters to artists selling handcrafted jewelry. Artists get a pretty sharp website with shopping cart, blog and even videos about their work. Intro price is $99/year plus 10% commission on sales. No listing fees. Sales to buyers going directly to member site URL incur no commission. 144. Keep – A curated site where you can “keep” images from the web (like Pinterest), including your work from third part sites like Etsy. This site has a “Buy” button which guides visitors to your own online shopping cart. 145. LokoFoto – (UK Site) This site offers local photographs of many areas of the world. Submit your photos, which are voted up or down by the community. You set the price, and they keep 40% for production the prints and shipping out the photos to customers. 146. Luulla - Calling itself “The Marketplace for Unique Products” Luulla offers artists a monthly plan for $9.90 plus 3% selling fee, or a pay-as-you-go option with listing fees and the selling fee. They promote your work to social media as well. 147. MadeByHandOnline – (UK Site) British and Irish craftspeople are welcome to apply. This site is juried, and has an active community and directory, and actively markets their makers. They take 22% commission on sales. 148. MadeIt – Australian site for handmade goods. This marketplace charges vendors .35 per listing plus 4.5% commission on sales. No membership fees. 149. MadeItMyself – Upload your images, and either set a price or negotiate with buyers. They provide a shopping cart. Listing fee and commission applies. 150. Meylah – Open a store for your artwork or handmade goods, or even create a curated marketplace. They offer support and marketing help. No upfront fees, only a 2.75% commission on sales. 152. Minted – They are a Print on Demand vendor selling holiday and Christmas cards, and wedding and party invitations. Submit your design here, and fans will vote on it. Winners get cash prizes, and the rights to sell their designs on the site. 153. MISI – (UK Site) MISI, or “Make It, Sell It” is an online platform to sell handmade crafts, vintage items and supplies. Listing fee plus 3% commission on sales. 154. Modalyst – This website is for designers who want to sell wholesale to retailers. They provide the “virtual showroom” and allow retailers to meet minimum orders through purchasing from more than one vendor. Designers pay them a percentage; contact for details. 155. ModernArt-Design - (UK Site) Submit your work to be juried into the “Artist Program” on this Print-on-Demand site, which sells artwork, but also prints images for consumers. They do not list artist terms on their site, so you will need to inquire. 156. MyBestCanvas – Sells original paintings, to an international audience. Customer gets directly in touch with the artist; no commission is taken. $50 annual fee to upload your images and become a seller. 157. MySoti – Print-on-Demand site specializing in t-shirts, lampshades, and art reproductions. Upload your designs for free, and choose your markup. They pay you the amount of basic cost for items they print. 158. NewBloodArt – (UK Site) Representing early and mid-career artists, this juried site focuses on selling originals. You determine the selling price, and they take a commission. 159. NextDayArt – NextDayArt are artist agents, who represents artists to manufacturers for licensing purposes. This is accomplished through their website and trade shows. They accept submissions from artists through email – see the site for details. 161. Nuzart – (European Site) This is a Print-on-Demand site, so originals and limited editions don’t sell here. Upload your images and set your price. You collect the percentage over the base price of the reproductions. 162. OArtTee – This Print On Demand T-shirt company encourages artists who work with inks, digital illustration or creative photography to upload your designs on their site. Artists get their own gallery page, and receive a commission from sales (not specified). 163. OpenSky – Open a storefront here, and you receive a percentage of the sale (up to 100%) when you drive traffic to your item through social media. Customers are incentivized to also share to earn points for shopping credits. 164. OriginalArtOnline – As the name implies, original art is sold here. Membership fee about $6-$8 per month, no commissions are taken. Set your asking price and take offers from buyers. They provide marketing help. 165. OriginalArtUnder100 - (UK Site) A simple, no-nonsense original art website where all the featured work is priced under £100. Artists sell direct and commission free to buyers with free 4 month trial. If they decide to stay beyond their trial period, they pay £20 per year, or £12 for 6 months. Artists also get a free link to their website and their own URL gallery page. 166. PaperNStitch – Online exhibition space curated monthly. $55 to be in first exhibition, with future exhibitions at a discounted rate. No commissions. Your image links back to a selling site where buyers can purchase your work. 167. PictureFair (UK Site) They sell photographic art prints from this site, where artists can upload up to 25 images for free. They print and ship the image, and you earn a royalty from each sale. 169. Pinterest – This super-popular website allows you to create collections by “pinning” images around the web which click through to the original site. Have an item to sell, on Etsy, or anywhere else? List the price when you pin your item – a click on the photo will take the shopper through to your own site where you can make the sale. Priced items show up in the “Gifts” section of Pinterest. 170. Pixels – Part of Fine Art America, Pixels is “the premier online marketplace for buying and selling fine art prints and originals” and offers a huge array of services and options for artists. You can open an account and an artist’s store there free, or get more options for $30 per year. 171. Pixpa – Created for photographers, artists and designers, Pixpa gives you a portfolio site with a built-in shopping cart provided by FotoMoto. If you have a blog and need a place to show large, gorgeous photos of your work, this might be it. Monthly plans start at $10. 172. Poppito - (UK Site) Describing themselves as “an online market place providing greater opportunities for makers of quality handmade goods and growers of homegrown produce,” Poppito sells credits which are exchanged for listing your items. 173. PoppyArts – Based out of a brick and mortar, this site sells jewelry, fine craft and art, this site features about 200 artists and is juried. They buy wholesale from the artist. 174. PoppyTalkHandmade – (Canadian site) Dubbing itself “the original curated online marketplace for emerging design talent,” this site accepts artist submissions, and is juried. $60 monthly fee for sellers. They feature “themed markets” which change monthly. 175. Portraity – Are you a portrait artist or photographer? This site aims to connect artists and clients who want commissioned portraits made. Artists upload their portfolio onto the site and a “contact” button puts potential clients in touch with you. Currently in Beta and offering free memberships. 176. PrintPop – This Print-on-Demand site claims to be for aspiring/emerging, “struggling,” part-time, hobbyist, or student artists” to sell poster-sized print reproductions of their work. Artist earns 15% royalty from each item. 177. PrintsOnWood – Print-on-Demand site that creates art prints on wood, using fine art or photography that you submit. $5.00 fee to sign up and become a vendor on this site. 178. RebelsMarket – This site claims to be the “No. 1 alternative community for buying & selling anti-mainstream items for subcultural lifestyles such as goth, steampunk, rockabilly, pinup, tattoos & more.” Fit your work? Open a free store – they take 15% commission. Juried to make sure your designs are rebellious enough. 179. RedBubble – Print-on-Demand site featuring posters, prints, t-shirts, cards and more. They have set base prices, and you collect the markup that you choose. 180. RetailParade – This is a wholesale site geared for the gift industry. Juried vendors pay a monthly fee. No submission process indicated, use contact form for more info. 181. RiseArt - (UK Site) Artists can create a profile here and submit their work, which is ranked by votes from the Rise Art community. Chosen artists are promoted, and work may be commissioned by Rise Art, or sold on the site. Totally free to use. 182. SaatchiOnline – Upload your images, sell originals and prints. Artist retains 70% of purchase price. 184. ScoutMob – This site is all about local, and features a “shoppe” to buy art and handmade items. Choose your favorite city on their list, and see locally made work (they even have their own app.) You can apply to be one of their local “makers” by contacting them through the site. 185. SculptSite – Sculpture-only site, buyers purchase directly from the artist. This site is juried. No commissions, you pay a fee ranging from $0 – $99 per year. They give marketing assistance. 186. SeekAndAdore – (UK Site) If you design homewares and accessories, you can apply to be juried into this site. Get your own artist “studio” page showing your items. Annual fee of £180 plus they take 25% of each sale. Artists drop-ship their orders. 187. SeekingDesigners – This site has a marketplace which is mostly oriented to fashion, accessories and home. Not strictly handmade. They jury submissions to be part of their group of designers. Monthly fees range from about $11-$30 per month. 188. SeeMe Art Market - Soon to launch, this is the e-commerce part of the SeeMe.com website for creatives. Create a profile and sign up for more info here. 189. Sellpin – Their tagline is “If you can pin it on Pinterest, You can sell it on SellPin” and they offer a place to list your work to sell when referred through Pinterest. Easy to log in with Facebook. Free to list, they take 7% fee on sales. 190. ShopDelighted – Featuring mostly handcrafted items, this site allows sellers to list an item for 120 days for .20, and also charges 3.5% commission on sales. Joining is free and you must have a Paypal account. 191. ShopHandmade – You can set up a store here to sell anything handmade, although their home page shows some manufactured items – for example, you can literally buy a GPS for your car. Their stores are “100% fee free,” and they literally collect donations to keep going. Yes, that’s right – donations. 192. Shopinterest – turn your Pinterest boards into a store! All Pinterest items with a price get added to your Shopinterest store. They provide a shopping cart, but customers pay you directly. They are in Beta now, but have a free trial period and will offer pay-per-item or monthly fees going forward. 194. SiOTTGallery (UK Site) Juried gallery site offering online exposure, and also invites artists to show at Art Fairs or Events. Annual fee of £50. They take 35% commission on sales. 195. Skreened – Print-on-Demand t-shirt site. Any site visitor can make a custom-made shirt, or can purchase available designs. That’s where you come in – upload your artwork and create your own shop. Choose your own price, you make everything above base prices charged by the site. 196. Smitsy – Juried site with no membership or listing fees. They take a 35% commission from sales of art. Bio of artist shown (which you can update), and shopping cart on site. 197. Society6 – Print-on-Demand site, featuring prints, canvases, iPhone cases, hoodies and more. Upload your artwork, and set your price. You receive payment for everything over the base price of their products. 198. Spoonflower – Known for printing custom fabric for designers, this site is Print-on-Demand and prints your work on textiles, wallpaper and decals. They claim to offer the largest collection of independent fabric designers in the world. Artists receive 10% of sale price. 199. Spreadshirt – Open your own t-shirt shop online, featuring your designs. No cost to set up. This Print-on-Demand vendor pays you an agreed upon royalty on each sale. 200. SquareMarket – Created by the people who offer the Square card reader, it is not for art or craft only. This popular marketplace offers free online stores, and has a very clean contemporary look. They take 2.75% of every sale. 201. StoreEnvy – Although this website isn’t for artists and craftspeople only, it’s a very popular e-commerce solution for listing your work (and their do have an Art category). Set up a freeshop here, or use your own domain for $4.99, and even tie your shop to your Facebook page. Site visitors can “Envy” your work at the click of a button – getting it featured on the “Popular” page. 202. SuperMarket – This website offers a curated collection of work, which is juried. They ask for submissions via email. Create a store and upload your images. You get paid for your work directly through PayPal, and pay them a commission monthly. 203. Tag99 – Billed as as “Artist’s Community Marketplace” this site allows you to list art for free and does not charge commissions. You can however get home page exposure there for fees ranging from $7.00 – $15.00 per listing. 204. TeeFury - Submit your design for a T-shirt, and if accepted, your design becomes a very limited edition, available for 24 hours, and selling for $10.00. The artist gets $1.00 per shirt sold, and keeps the rights to the design. 205. TheCraftersBarn - (UK Site) Handcrafted goods are sold on this website, which dubs itself a “co-op” and has a very low monthly fee with no commissions taken. Includes shopping cart. 206. The FunkyArtGallery - (UK Site) Featuring contemporary, funky, urban and pop art, this online venue sells originals and limited editions only. Juried for “originality, quality and funkiness.” Artists paying joining fee of £50 plus 33% commission. 207. TheMatBoard – A Pinterest-type site, you can “mat” images that you find online, including your own portfolio. Then, share on social media. Your work can be grouped into collections, and you are notified when other people comment. Since clicking on an image takes the viewer to the original site, you can lead potential customers to your website. 208. TheUntappedSource – Print-on-Demand site which sells reproductions and prints; they offer memberships ranging from free to about $8 per month. You price your work and collect any amount over their base prices. 209. TheWeddingMile - If your work fits into the wedding market, you can become a seller here for a monthly subscription of $9.95. They offer support and training, and a bridal registry, of course! 210. TheWorkingProof – This site sells prints (screenprint, letterpress, linocut, giclee, etc.) provided by the artist. Each sale is tied in with a contribution to a chosen charity. Juried; see site for details on submitting your work, and to inquire about terms. 211. Threadless – Create a design, and submit it to this site. The Threadless community votes to choose the very best, which will become t-shirts for sale in their marketplace. What do the design winners get? A $2,000.00 prize. 212. ThreeDayGallery - Every 24 hours, they showcase one new piece of artwork.. For 72 hours, each of 3 prints shown on the site is a part of their flash sale, where the prints are sold at a discount. Following the sale, the print is added to their permanent collection, all of which can be purchased at a price named by the artist. 213. ThumbtackPress – POD site creating paper, giclee and canvas open edition prints. Artists can submit three works to be considered. They ask that images sold on their site not be listed on others. Contact them for costs. 214. Tint Art – (UK Site) A new site collective promoting the work of artists and photographers, Tint Art is still in development, but wants your input on fantastic photographers for their site. Let them know by contacting candida@tint-art.com. 215. TopHatter – Virtual auction house. Create a listing, which is put on the block and sold to the highest bidder. You do pay a listing fee and a commission fee when the item is sold, although these vary from 5% – 15% of the selling price. 216. Trembu – Not strictly for handmade, this site has a nominal $5.99 annual membership. Create a customized store, with no listing fees and no commissions. 217. TrilliumGallery – An artist’s community where work is shown and sold. Artists are invited – but you can ask to become a part of their gallery, too. Contact Maureen at trillium@post.com. 218. Twitter – Promote your work on Twitter, using Twitpic to show photos, and list an auction, or simply a sale price. You can coordinate this with a Facebook auction of your work, or link to an auction on your website, and take bids. Twitter is also a great place to cross-promote your work for sale on any other site. 219. UGallery – Billed as “a curated online art gallery for the nation’s top mid-career and emerging artists,” this site is juried. They split the selling price 50/50 with the artist, and do extensive marketing. 220. Uncommon Goods – This site sells “unique gifts and creative design.” Submit your images to them in an online application, and their buyers and community will evaluate to see if you are accepted. This site is not exclusively art or craft related, but offers clothing, accessories and home items as well. 221. UnderTheRainbow – An online craft mall, where you can sell your work retail. They claim to screen for authenticity. No monthly fees, pay per listing. They provide a shopping cart. 222. UpcycledAroundTown - As it’s name implies, this site is all about merchandise that has been upcycled and created into new products. If that’s your schtick, contact them on the “vendor” page of their website. Contact them for terms; not listed on site. 223. Vault17 - Vault17 is a traditional art gallery, there is no shopping cart, sales are done on a personal level. Apart from their permanent exhibition space in the heart of Amsterdam, they present high quality online art exhibitions. Common gallery and representation commissions are kept, between 35% and 50%. 224. Wanelo – Short for Want-Need-Love, this site is a curated collection of items (not all are handcrafted or art), but if you have a price on your work, they provide a “Buy” button which clicks through to your website (or third-party site) to sell your work. Other community members can “save” your images, and being popular drives them to the front page of the site. Free to use. 225. WeLoveFine – submit your art to their monthly contests, and get voted up or down by site fans and judged by guest judges. Winners receive cash prizes, and get their designs licensed for products. 226. WesternArizonaArtists – As the name implies artists from western Arizona can sell their work here. Free to create an account and list your art; they take 20% commission. The webmaster is seeking new artists. Visit the home page of this site to contact him. 227. WholesaleCrafts – This site has been around for quite a few years. Fine crafts in many mediums are listed at wholesale prices, and sell to the trade. Juried. They charge a startup fee and monthly fee of $39, or $395 annually with no setup fee for a one-year minimum commitment. $15 per month fee helps promote your work on their front page. 228. WordPlusArt – (Canadian Site) A Christian online art store. Scripture is added to the artists art and then made available online. They print and ship. Artists receive 15% commission. 229. WowThankYou - (UK Site) Proudly supporting UK artisans, this site offers everything from clothing and pet items to household and wedding gifts. Monthly competitions. Fill out a form to become a seller; no terms listed on the site. 230. XanaduGallery – Xanadu is a brick and mortar gallery in Scottsdale, AZ, but they also have an online component. Submissions are juried, but online accounts are free. They take 20% commission on sales. 231. YellowLlama – A Print-on-demand site that prints artwork on t-shirts, bags, stretched canvases, tiles, draperies, etc. Prices from $14.99 monthly to $174.99 annually. They also create artist websites, help artists open brick and mortar stores and have a financing program. 232. Yellowsmith - works with independent jewelry designers, who submit their designs to be voted upon by the Yellowsmith community. Winning designs get produced and sold, with the artist receiving royalties. 233. Yessy – Create your online art gallery, no limit on number of images. $59 annual fee. They do not take commissions, but have a transaction fee. 234. Zatista – This site is for selling original 2D art only. They target interior designers and architects as well as consumers. All work is juried. They do not have a monthly or listing fee, but take 45% commission. 235. Zazzle – Print-0n-Demand site, claiming to have 25 million monthly shoppers. No montly or listing fees. Upload your images, and set your own prices – you are paid the royalties between their base price and amount of the sale. They put images on a large variety of items. 236. Zibbet – Upload images of your art or craft into your own online shop. Fees range from free to $79 annually. They have a shopping cart and marketing help.